A Protection from Abuse Order is a legal document that is signed by a judge and tells your abuser to stop threatening or hurting you or face serious legal consequences. It offers civil legal protection from domestic violence to both women and men victims and also their family members including minor children. How can a Protection from Abuse Order help me? grant any other appropriate support you request. A person you live with or used to live with. Any family member related by blood or marriage. A current or former intimate or sexual partner. Anyone who has stalked you or sexually harassed you. The other parent of your child. Can I get a Protection from Abuse Order if I am a minor (under the age of 18)? Yes. However, a parent, adult household member or guardian ad litem must file the Protection from Abuse Order on your behalf. What types of Protection from Abuse Orders are available? How long will they last? In Pennsylvania, there are a few different kinds of Protection from Abuse Orders (PFA). The PFA you initially receive may depend on the protection you need in your current situation. If you need urgent protection when the courts are not open (such as on a weekend, late night or holiday), call your local police department to see which magisterial district judge is on-call. He/she may be able to grant you an emergency PFA order. 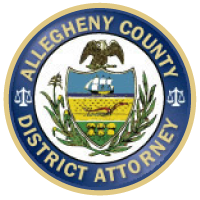 An Emergency PFA order is only temporary, and will only remain in effect to protect you until 5:00pm on the next business day that Family Court is open. On the next day the Family Court is open, you have a chance to ask for an ex parte temporary PFA. “Ex parte” means that the judge will make this decision based only on the information you provide, without your abuser being present in court. If you do not go to court on the next business day to apply for the temporary PFA, your emergency order will expire. When you ask the court for a PFA, a judge will give you an ex parte temporary PFA if he/she finds that you are in danger of further domestic abuse and need immediate protection. This temporary order will only last until your full court hearing when your abuser has an opportunity to attend court and present his/her information. After a hearing in which you both have an opportunity to present your information, a judge can grant you a final Protection From Abuse Order (PFA). A final PFA lasts up to 3 years and, under certain circumstances, can be extended. Will I automatically be granted an emergency PFA? No. It is up to the judge hearing your petition to decide whether or not to grant you an emergency PFA order. It is important to use as much detail as possible in the application, and to explain to the judge the danger you are in. Give examples, if possible. What will happen at the PFA court hearing? The abuser will also be permitted to be present and testify in the hearing. If you have an emergency PFA, it will expire on the day of your hearing. If the abuser does not attend, your PFA may be granted or another court hearing may be set. If the judge does not extend the Protection Order, you should request that he do so before leaving the hearing, or as soon as possible afterwards. No, you do not need a lawyer to file for a Protection from Abuse Order. However, if you are able to get a lawyer it is always better to have one. If your abuser has attorney, you should try your best to get one as well. Many local domestic violence programs can give you more information and help you take the steps to file for a PFA. Please keep in mind that courthouse officials and domestic violence advocates who are not lawyers can assist you in the process but cannot give you legal advice or represent you in court. What if my abuser violates the Protection from Abuse Order? If your abuser violates the Protection from Abuse Order you should call your local police or 911 immediately. If the abuser violates the PFA in any way, he/she may be charged with violating the order, which is a crime.